Apple has just made one of its most exciting games-related announcements in years: the Apple Arcade subscription service. Set to launch in autumn 2019 in over 150 countries and regions, the service will include more than 100 new and exclusive games, with yet more games to come in future. Games on the service will not feature ads or extra in-app purchases and will be available to play online or offline on iPhone, iPad, Mac and Apple TV. 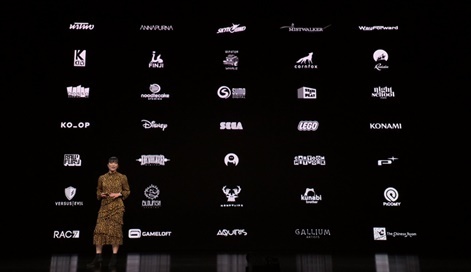 It’s not short of development and publishing partners: Ustwo Games, Annapurna Interactive, Gameloft, Platinum Games, SEGA, Konami, Snowman, Devolver Digital, Disney, Revolution Software, Bossa, Klei Entertainment and more are set to release games on the platform. 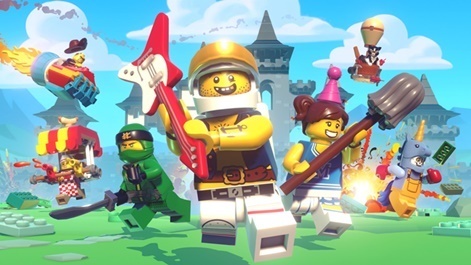 Titles include Sonic Racing, LEGO Brawls, Oceanhorn 2: Knights of the Lost Realm, Hot Lava, Where Cards Fall, Enter The Construct and many more. One key factor wasn’t revealed during the Apple Special Event press conference where the service was announced though: the cost. 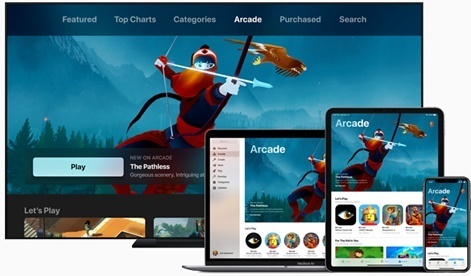 Apple Arcade games will be playable on iPhone, iPad, Mac and Apple TVThis will obviously have a large role to play in how popular the service is and how much money there is to go round for developers. How this ends up getting distributed between the most and least popular titles is also unclear. By bringing new and exclusive premium-like games to Apple Arcade for a set fee, Apple is offering a new, perhaps more enticing way for the mass market to engage in these experiences. It’s been reported by one source to Bloomberg that Apple will distribute revenue amongst developers based on time played. Premium isn’t quite dead on mobile. There have been big, critically acclaimed successes such as Ustwo Games’ Monument Valley and Mountains’ Pocket Gamer Mobile Games Award-winning Florence. But often outside of the star titles many premium games get the acclaim rather than the sales (though what is considered a success depends on developer expectations). That’s a narrative that Apple itself brought to its press conference. By bringing new and exclusive premium-like games to Apple Arcade for a set fee, Apple is offering a new, perhaps more enticing way for the mass market to engage in these experiences while making them easier to discover. An upfront price or a paywall in-game ala Super Mario Run has often been a cause of friction for consumers in the face to the plethora of free games. But if say a $9.99 monthly fee was introduced to access more than 100 of these premium-like titles, consumers might see the value in getting out their wallet. LEGO Brawls is just one of over 100 games coming to Apple ArcadeShould the business model work for developers, this service could act as a new dawn for indie creativity on mobile. Untethered from free-to-play monetisation, developers can focus on new innovations and doubling down on creativity without also having to worry about how many units they’ll sell. It’s arguably a big gamble that suits Apple the most. While the freeloaders may be reticent to pay $5 for a strange yet innovative indie game, they may well be enticed by these same titles in an environment where no extra payment is required. This model works for Netflix, it could work for Apple and indie developers too. While on the one hand, Apple appears to have breathed new life in mobile’s premium games market with such a bold move as a subscription service, on the other it could result in its death. It’s not clear yet how Apple has chosen the games that appear on its platform and what the terms of such deals are. And for those that don’t make it onto the service, what market is left for them? Releasing a premium game is a big enough challenge on mobile – if Apple Arcade cannibalises that market with single subscription access to hundreds of titles, will anyone fork out money for a new premium title outside of it? Apple showed off a glimpse of the companies it’s working with on Apple Arcade gamesIt’s arguably a big gamble that suits Apple the most, particularly as it expands further into the services space as its hardware business slows. Apple Arcade can offer a great and valuable service to consumers, from which it will take millions, maybe one day billions, of dollars. But if it works, it may leave little room for developers on the outside who aren’t part of the subscription service. It’s a big ask for developers not yet partnered up with Apple and those that are not well-known in the industry to make an investment in developing games for a platform that might not want them at all. And should Apple Arcade fail, it could leave premium games in a strange new limbo where nothing works at all. That would be overly pessimistic though. For now, the industry can be hopeful that Apple is doing something bold, new and exciting that could offer a platform to bring entirely new gaming experiences to a wider audience than ever.